Thank you for your interest in my second recipe book 'Food for Thought'. 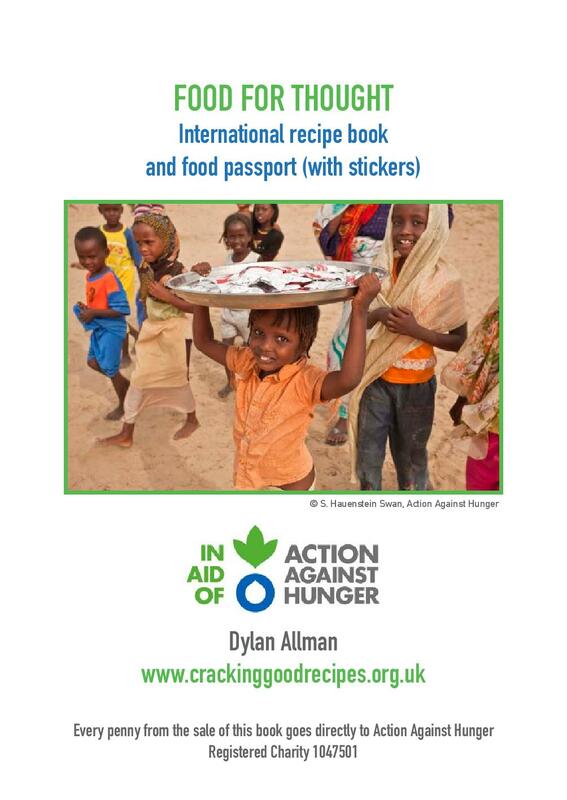 Every penny from sales of this book goes to the charity Action Against Hunger. I've sold almost all of them now and raised over £1000 for the charity. It is an international recipe book with dishes from 29 countries from around the world from Australia, Brazil, and Greece, to Mexico, South Africa, and Vietnam! 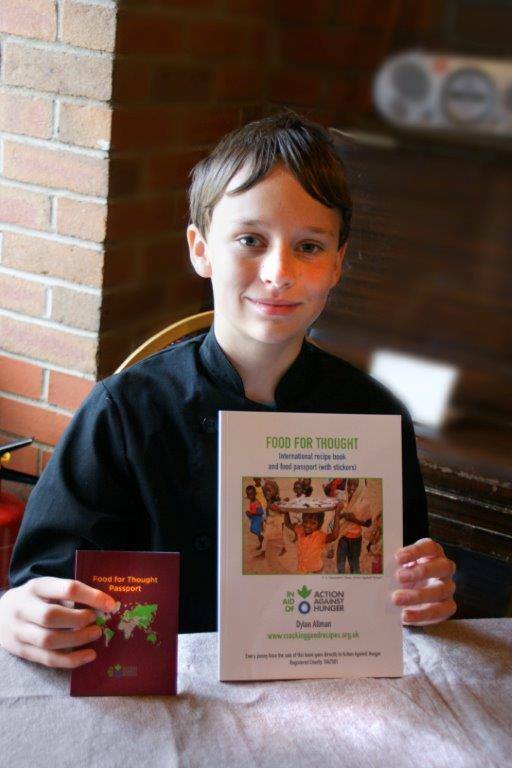 There is also a 'food passport' to accompany it - this contains information about each country, plus a flag sticker to put in when you've tried the dish. There is also a rating sytem so you can colour in the stars against each country to say how much you enjoyed the food! Festival of Hope, Saturday 24th June, Carew 11am-8pm.